Everybody dreams. However, it is an entirely different thing to work for it and accomplish those dreams. KOCHI: Everybody dreams. However, it is an entirely different thing to work for it and accomplish those dreams. As a teenager, Kishan dreamt of working with the contemporaries of Western classical music in Europe someday. “I always thought it was something I would be able to do later in life. Maybe after 35,” he says. As luck would have it, a few years later, he was doing just that. “I was in Europe at 21,” he says. Another dream of his is to gain global recognition for his work. 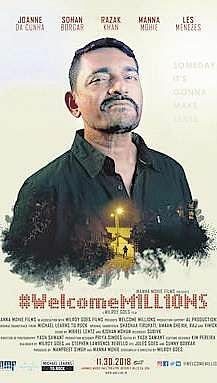 As a culmination towards this, Goan thriller film Welcome M1LL10NS - for which Kishan Mohan has done the background score - was selected for the Academy Awards L A County screening from November 30. For the film directed by Milroy Goes, Kishan shares credit with Mikkel Lentz of the Danish soft rock band ‘Michael Learns to Rock’.“The post-production of the film was done in Kerala. The filmmaker was looking for someone who could compose and arrange a western score. He wanted something that would appeal to the American audience. The soundtracks were done by Mikkel and I did the music background score,” says Kishan. The film will be screened in the general category for about a month in L A County. Having completed post graduation in the Berklee College of Music, Kishan specialises in background score with the orchestra. 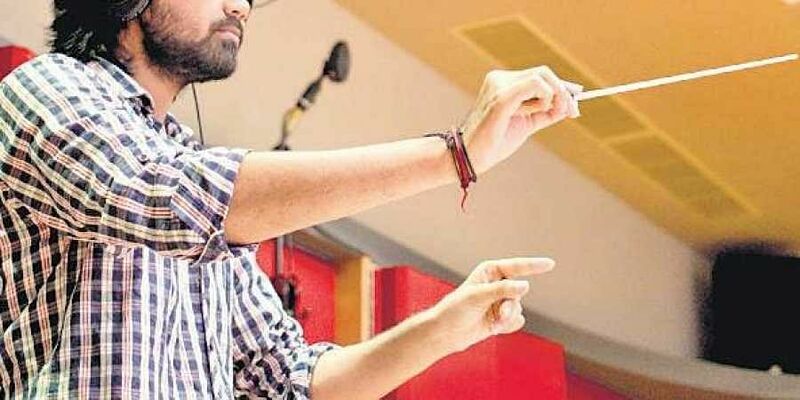 He has worked with the many big names in the contemporary Western classical music scene, including Lucas Vidal, Laura Karpman, Alfons Conde, Carlos M Jara, Alvaro Dominguez Vasquez, Amie Doherty and Yiya Ma.Kishan, who is Kochi-based, is not a new name in the South Indian music industry either. He was part of the sync sound and sound design team of Sudani from Nigeria.He has also worked in 1983, Iyobinte Pusthakam, Oozham, CIA, Swathanthryam Ardharaathriyil, Varathan, Mandaram and French Viplavam in Malayalam. In Tamil, Kishan has worked in VIP 2, Joker, Pa Pandi and Sathuranga Vettai. “I am basically a music programmer and arranger,” he says.According to Kishan, the difference between working abroad and in India is like day and night. “The work culture is very different. When I was working abroad, I had all the time to work on a project. However, in India, there is a scarcity of time for each project,” he says. Professionally trained in piano and guitar, Kishan graduated in audio engineering. It was after this he got a scholarship to Berklee. After learning the trade and expertise under classical music legends in Spain and Los Angeles for 10 years, Kishan decided to return as he felt he would be of more use at home than anywhere else. Kishan now owns a studio Sapthaa Records in Kochi. “It is a record label which promotes and produces for young and talented artists who just need a platform,” he says.